Fraser and Neave’s beverage segment’s first quarter net profit dropped owing to negative translation effects, rising input costs and continued investments in marketing, brand building and distribution activities, said the company. The segment’s earnings fell 20% to SG$8.7 million. Moreover, the first quarter revenue of the company’s soft drinks segment in Malaysia fell by 1% due to the weaker ringgit, poor consumer sentiment and competitive pricing pressure. Coupled with a rise in consumer promotion spending and increasing raw material costs, its soft drinks segment in Malaysia’s profit before interest and taxation declined 27 %. Overall, the company recorded revenue of SG$495 million for the first quarter, a SG$1.2 million increase, as compared with the corresponding quarter last year. The company attributes this growth to the vending business which was acquired in July 2016, as well as revenue growth in Dairies Thailand and new markets such as Myanmar and Vietnam. As a result of higher operating expenses and weaker ringgit, F&N earnings slipped 14% to SG$46 million in the first quarter. The group’s best performing operation, Dairies Thailand, showed strong growth in the quarter despite flat volume and moderate revenue increase due to a slow-down in consumer spending. Its earnings jumped 16 per cent due to favourable input costs and weaker SGD. Myanmar, in particular, experienced revenue growth as a result of distribution expansion and successful brand building initiatives, mainly for 100PLUS. Its canned milk, Teapot, which was formally introduced in Myanmar last year, also contributed to revenue growth, supported by the widening of distribution channels. Similarly, Vietnam achieved revenue growth in the first quarter due to effective festive-led promotions and success in growing distribution reach. Late last year it was reportedly seeking to buy Vietnam’s largest milk producer Vietnam Dairy Products, as part of its plans to boost market share in Southeast Asia . 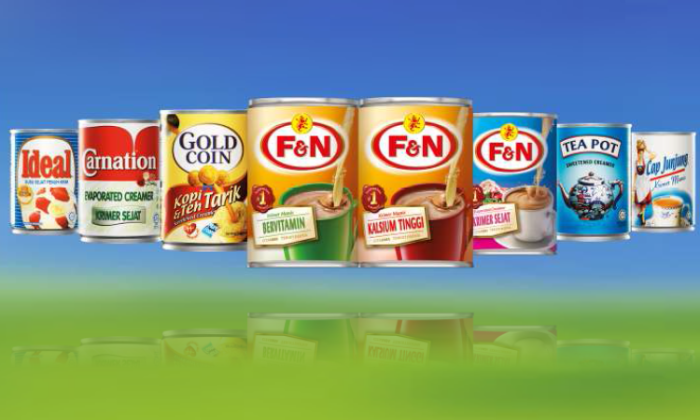 Most recently F&N brought on board two CEOs, Edmond Neo and Bennett Neo. Edmond Neo, who has 25 years of international experience primarily in the areas of general management, commercial operations, global brand management and strategic marketing in the food and beverage industry, would drive the drive the strategic growth of F&N’s beer business. Prior to this, he was the general manager, regional brand development at F&N, and was instrumental in the success of Chang beer’s rebranding to ThaiBev. Meanwhile, Bennett Neo, is responsible for the building and implementation strategies for the company’s food business. With 22 years of extensive experience in the beer, oil and gas, marine and supply chain industries and has held several assignments in Asia, the USA and the UK. Meanwhile F&N is reportedly seeking to buy Vietnam’s largest milk producer Vietnam Dairy Products, as part of its plans to boost market share in Southeast Asia .